Fantastic beings gathered from the four corners of the earth is nothing new. In fact, it’s an ancient idea. The Book of Revelation speaks of an apocalyptic vision of four angels standing at each of the corners of the earth holding back winds from the land and sea. 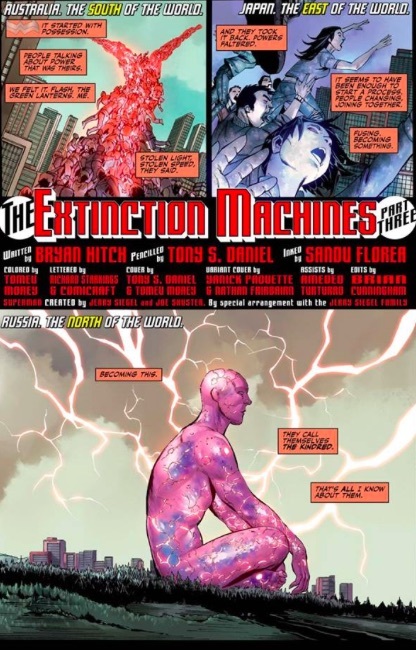 Bryan Hitch and company play off this idea beautifully, adding an intriguingly horrific twist for the modern world. As Part Three of “The Extinction Machines” storyline continues in Justice League #3, the pacing, action and urgency picks up. Readers, along with the League, learn more about the mysterious foe. The ancient being known as The Kindred begins forming into four sentient beings. Fueling these beings are humans – infected by and consumed into The Kindred’s four distinct bodies. The Kindred begin their purposeful journey together from the four corners of the earth to join in their song. The issue was beautifully drawn with spectacular, expansive and scenic images alongside highly detailed characters. The action flowed well and created anticipation from panel to panel. The colors leapt off the page, complementing and lending quality to the issue. From the deafening sounds of battle to the softly whispered words of relationship, readers were treated to an appropriately emotional spectrum of dialogue. 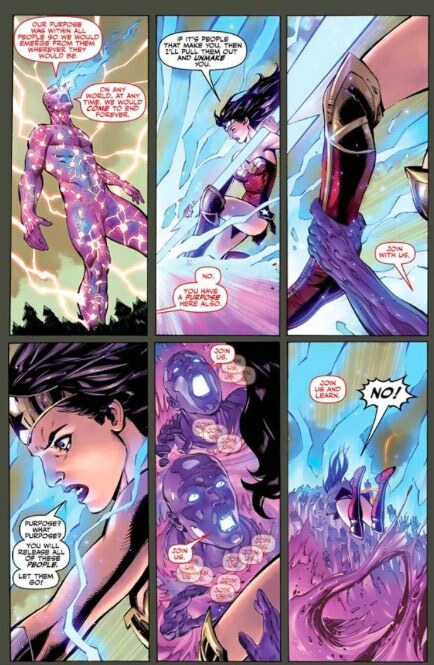 Superb writing and art made Justice League #3 a very enjoyable issue. 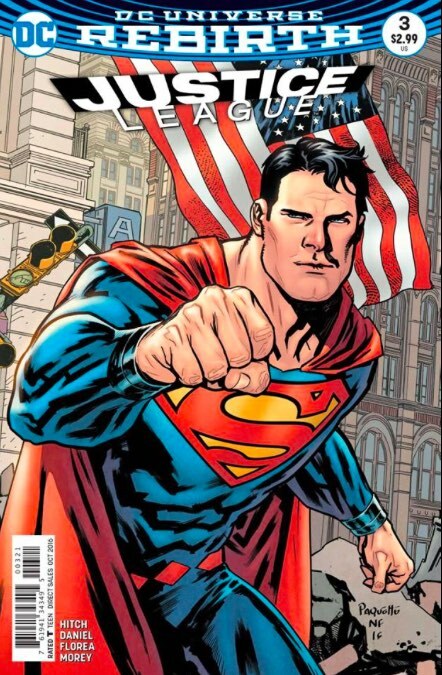 As one who reads only select titles, I am still a bit lost on the “new” Superman portion of the story. I found myself having to piece the story together and read very carefully the poignant dialogue between Lois and Clark and infer what I missed. 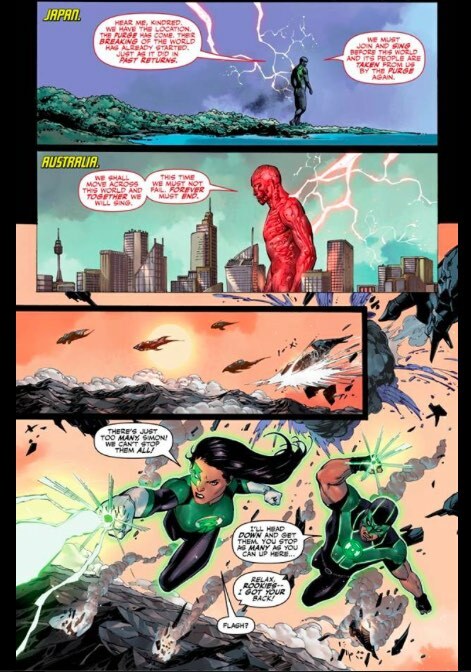 I am also still catching up on the relationship and limitations of the new Green Lantern duo. While these deficiencies did not take away from my enjoyment of the story, I do have a sense that something from my reading of these characters is lacking. 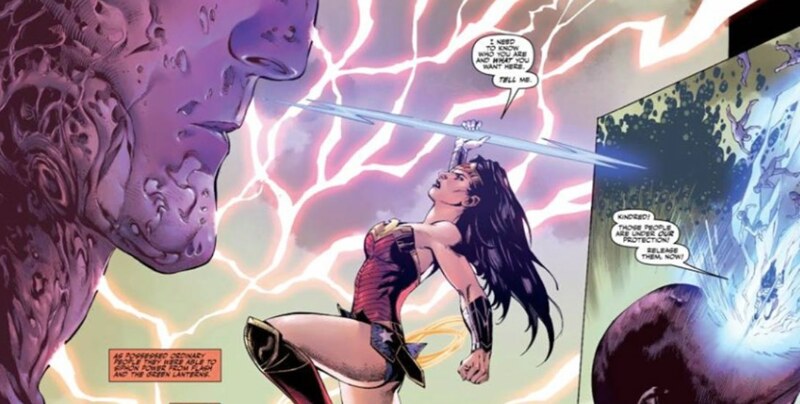 Still, Justice League #3 read with a depth not often felt in today’s comics. The use of apocalyptic ideas from long ago, mixed with a modern urgency lent weight to the narrative. The poetic use of dialogue and song from The Kindred makes them more intriguing and more mysterious – imbued with a power derived from a far away place or a time gone by. The League wrestles with a seemingly unstoppable foe, and is faced with a solution requiring significant danger and sacrifice. This builds the character of the team and makes their stories more compelling. 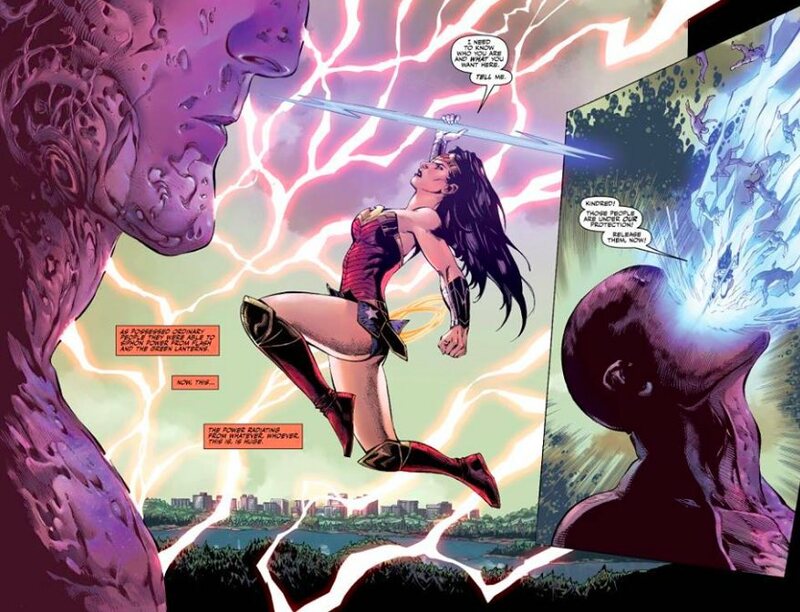 This reader was engrossed in the story of Justice League #3. I was left with an eager anticipation of subsequent issues and resolution to the story arc. 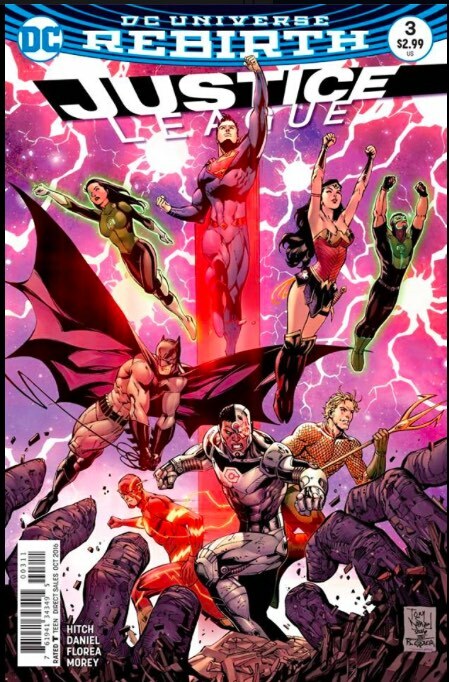 Justice League #3 is a wonderful stand alone issue that I believe will have center-piece significance in an eventual collected volume. Photos courtesy of DC Entertainment.